My first Multiboxing Mythic Dungeon! 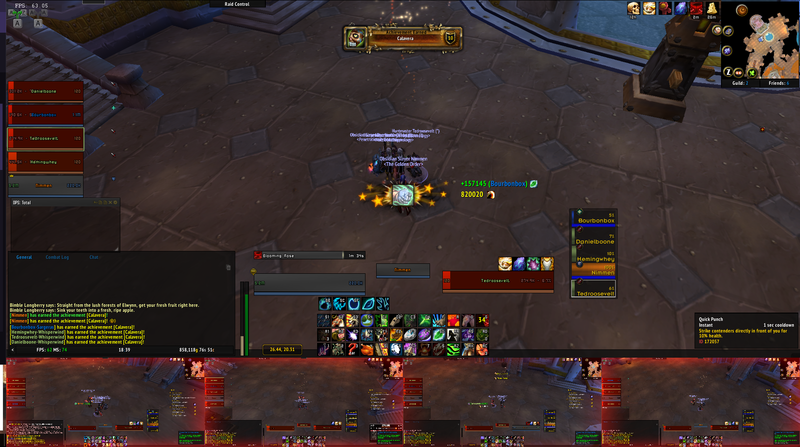 Mercurio shows off his successful raid with his 10-man team vs Morchok. 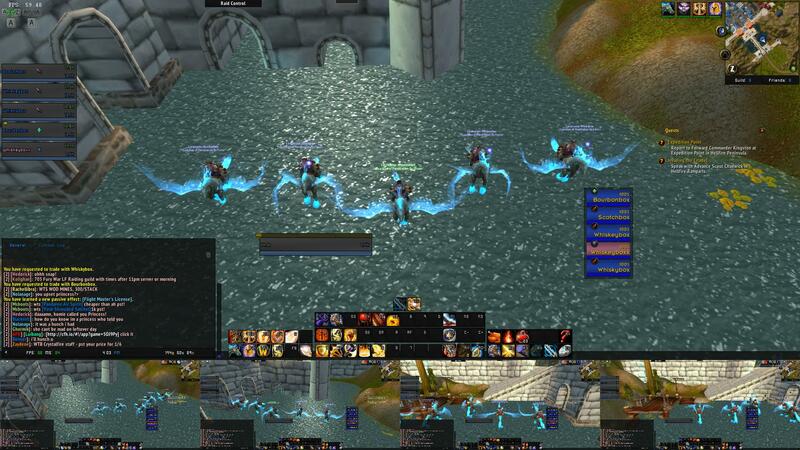 Insane shot of pieh0 multiboxing 20 clients on 1 machine! 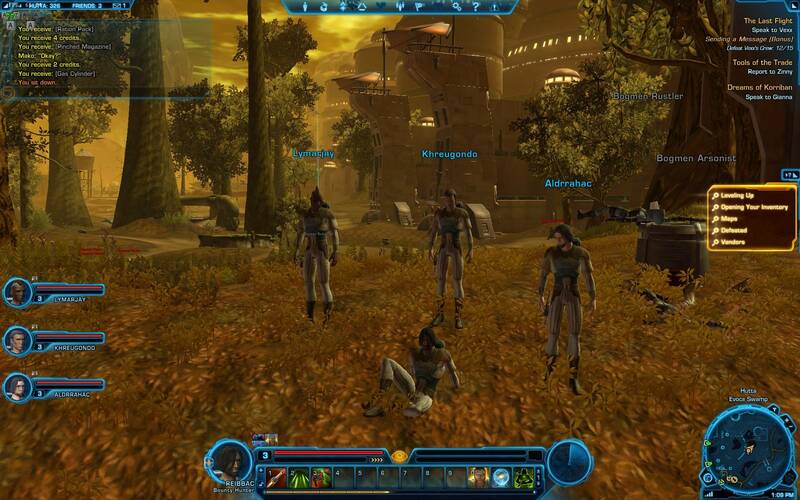 Darkmod's screenshot from SWTOR Beta. 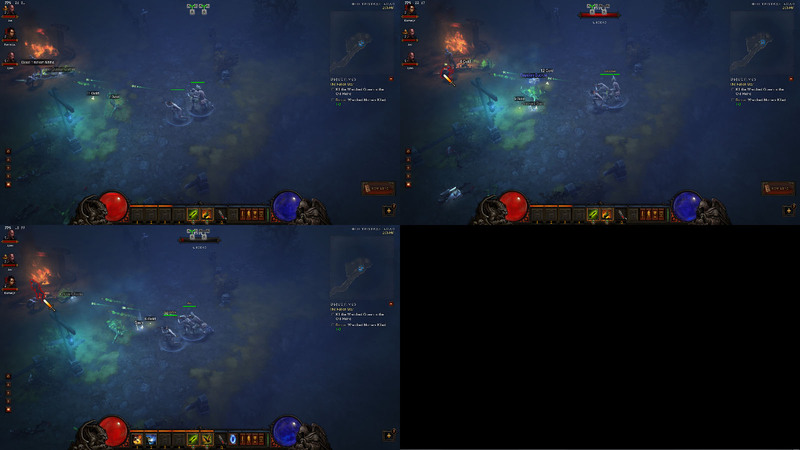 On the left is a dxNothing window with a Video FX view of each game window. This picture is right before the last boss fight in the Flashpoint "Boarding Party" Good Times! It took me a few tries to learn the boss fight, but once I did I managed to 4box the last boss into oblivion. This is the victory shot over his corpse, like some African big game hunter of old! Easily defeated 50 contenders by using 1 of my 5 characters to fight the others and win. This is only obtainable during the Day of the Dead world event. Here is a screenshot of my latest DDO team that I am power leveling with ISBoxer... Lets see, we have: a Pale Master, a Franken-Paladin, a Tempest Trapper, a Battle Cleric, a Wiz-Rogue, a Dark Blade, a THF Evasion Barbarian and a Spellsinger.... More fun than a puppy with two peckers. Five boxing this week's greater invasion boss. Druid, Shaman, 3x Hunters. Spread everyone out evenly so the AoE doesn't hit, but everyone is still within healing range. Then you just DPS and hope no one brings the AOE near you. We all know ISBoxer allows you to Multibox your favorite MMO to single-handedly beat dungeon and raid instances to get more crappy loot, but did you know that you can also get all artzy-fartzy and use ISBoxer as a creative tool too? Herein lies a sample webcomic that spot lights a typical boxing pull in LOTRO - against a dragon hoard!!! 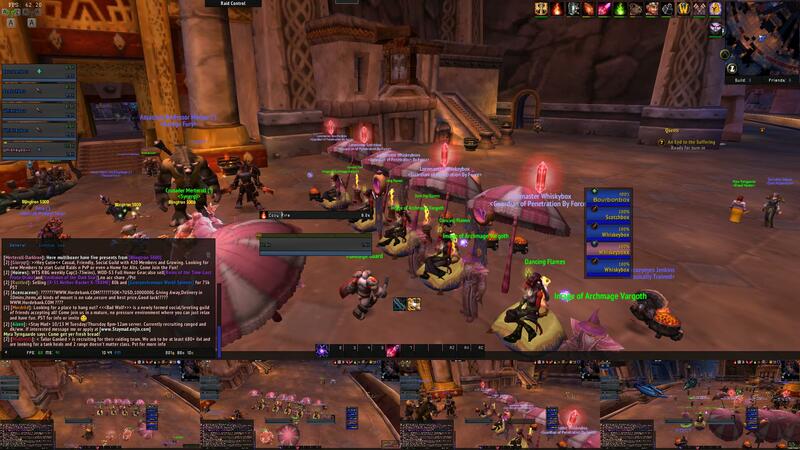 Multiboxing a grd, lm, burg, rk, mns and cpt and completing 21st hall fellowship skirmish. 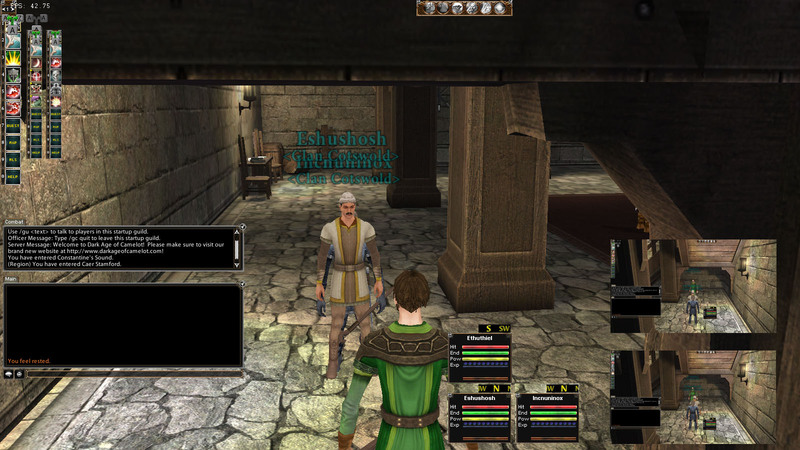 Mo_ron shows his layout in Lord of the Rings: Online, including using dxNothing. 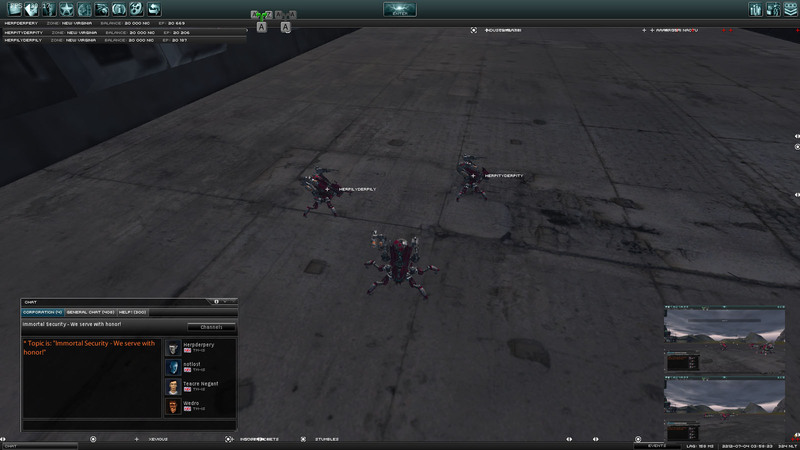 A nice screenshot by ATTSS2 showing his team layout for mining in EVE Online. x4 level 70 wizards in ACT 4. 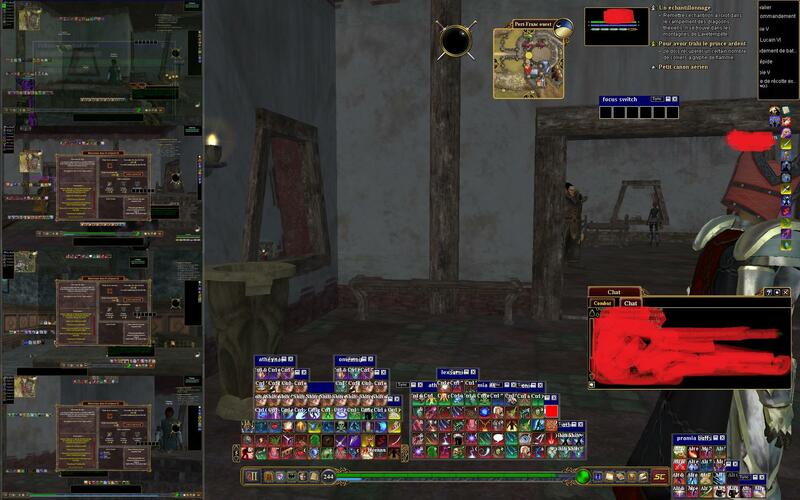 Multiboxing in Dark Age of Camelot with ISBoxer, with Video FX showing hotbars and character info from each window. Multiboxed this week's invasion boss. One hunter used a bonus roll and ended up getting a legendary , ilvl 930, and ilvl 940 item. There goes my luck for the year/decade. Shot of an awesomely named 3-man team in Perpetuum. 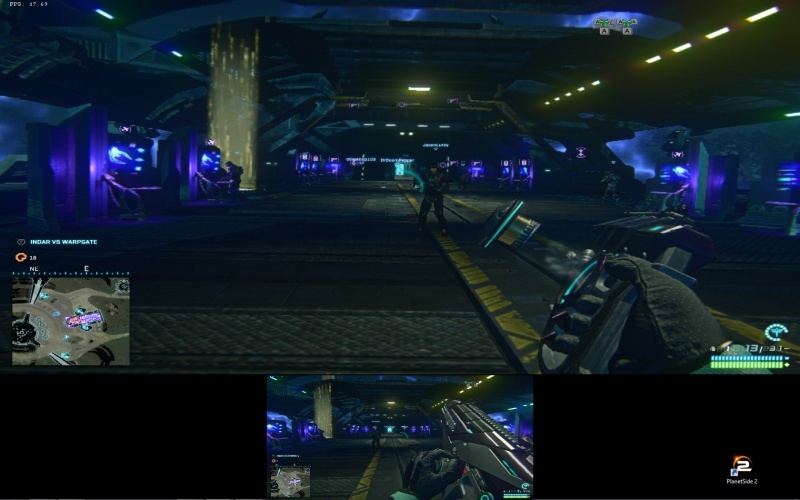 Multiboxing Planetside2 with a 2-man team. 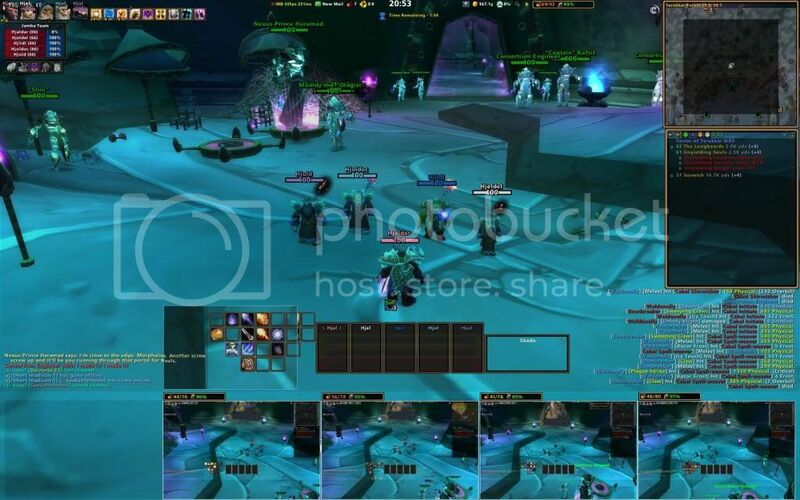 Cool screenshot of multiboxing in RIFT using ISBoxer. This screenshot from the ISBoxer forums shows a great example of how EVE players can take advantage of ISBoxer's Video FX feature! 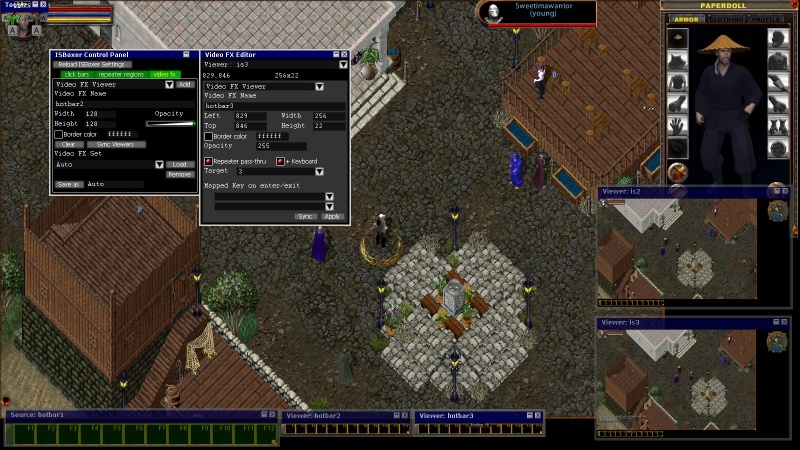 Setting up interactive hotbars in each window with Video FX in Ultima Online. 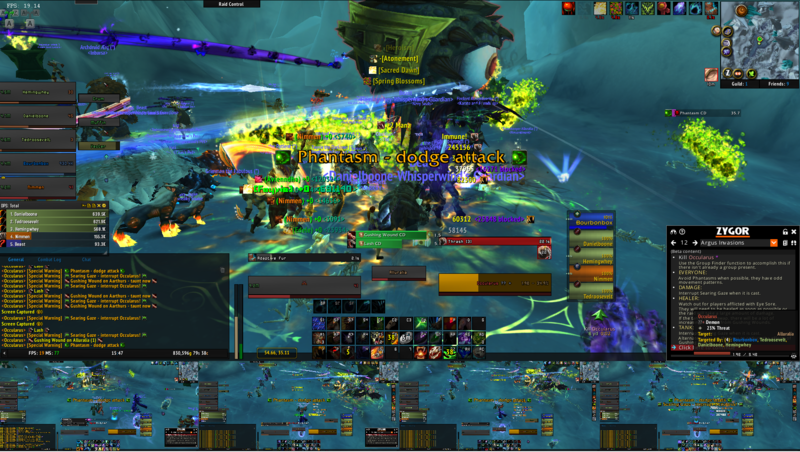 Alge's screenshot with 4 full screen video feeds(along the bottom), 4 smaller video feeds (just above them, showing bags/repair on my slaves) and a cursor feed (of mages' action bars). Alge's Vanguard UI using CoreUI as a base. It has character names hardcoded into it for the colour-coding, and it uses Video FX to see the other character's cast bars, defensive targets and some of their action bars.